Aboriginal Awareness Week was first introduced in 1992 “with the purpose of increasing awareness of Aboriginal peoples within the federal public service"*, Aboriginal Awareness Week has largely focused on giving federal public servants an opportunity to learn more about the Métis, Inuit and First Nation peoples. Since its beginnings in 1992, Aboriginal Awareness Week has moved beyond this original mandate in order to provide meaningful events for the general public to explore contemporary Indigenous life in Canada. 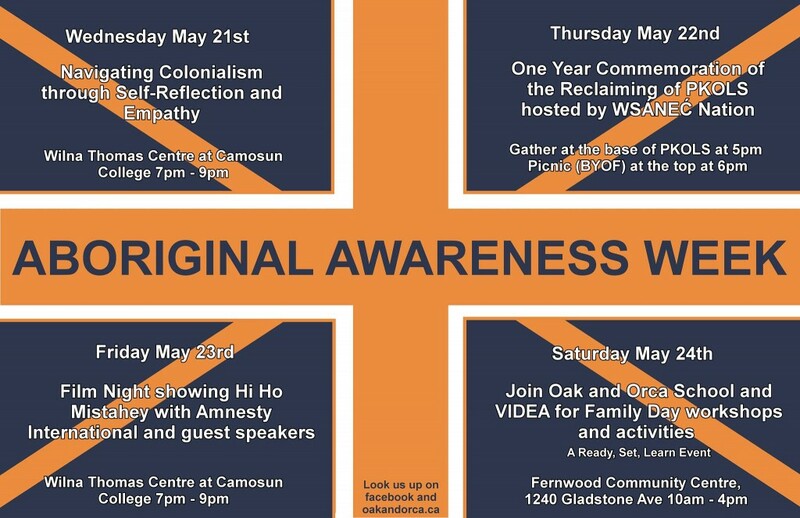 Previously, VIDEA has partnered with several community partners including Oak & Orca Bioregional School and Amnesty International to put together a series of events to begin some important discussions around Canada's colonial past and present. 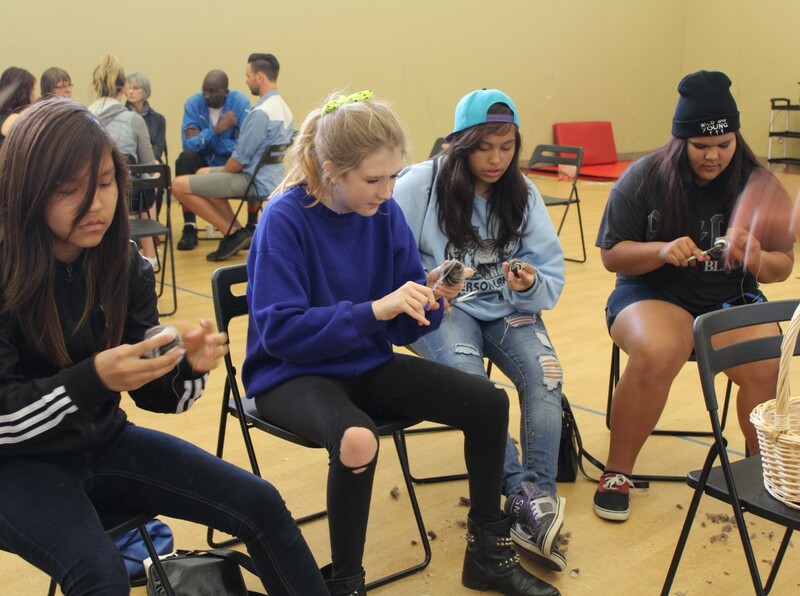 In addition to a film screening, activities included a Family Day aimed at engaging the greater Victoria community in deeper conversations about the ongoing effects of colonization, residential schools as well as providing a space to re-imagine a shared future. We were fortunate to be joined for this community day by girls from the Walking in Wisdom Girls Group from Pemberton, and a few former Aboriginal interns.